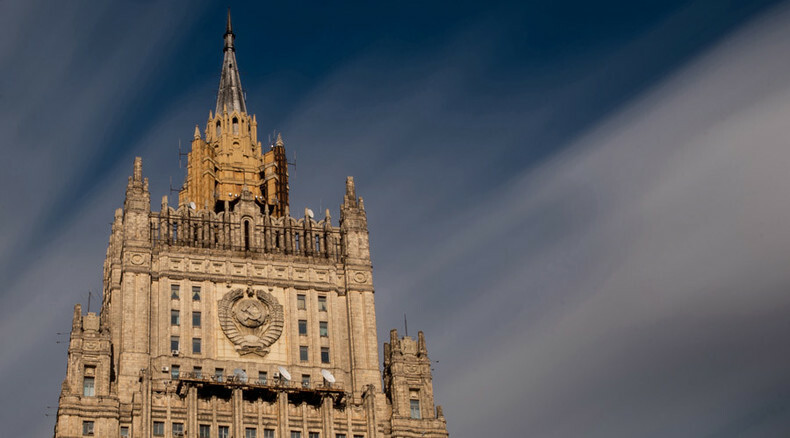 Russian Foreign Ministry has slammed fresh US sanctions, saying that Washington wants to aggravate tensions with Moscow and added that the move “would not be left without our reaction." "Having imposed new sanctions against Russian citizens and companies, the US has once again demonstrated that it has opted for aggravating confrontation," the ministry said in a statement Friday. “Continuing to cite the situation in Ukraine, Washington continues to expand the anti-Russia sanction campaign instead of pushing Kiev towards the implementation of Minsk agreements." Moscow stressed that such “provocations” do not just harm Russia-US relations but also hamper cooperation on resolving other global issues. “Of course, such a move would not be left without our reaction," the statement said. On Thursday, the US imposed further sanctions against Russia over the events in eastern Ukraine and Crimea, targeting 11 more people and 15 more companies. Among the newly included companies were affiliates of Russian oil giant Rosneft and several organizations linked to one of the country’s major banks, Vnesheconombank. Among the sanctioned people are associates of a billionaire Russian gas trader, Crimean port operators and former Ukrainian officials. Moscow does not rule out an asymmetrical response to US new sanctions against a number of against a number of Russian physical and legal persons, the Kremlin spokesman Dmitry Peskov said on Friday. Though the new round of sanctions came a day after Russia vetoed the UN Security Council resolution on an MH17 tribunal, the US State Department denied any links between the two events. On Wednesday, Russia vetoed a draft of a UNSC resolution calling for an international tribunal on the crash of the Malaysia Airlines MH17 flight over eastern Ukraine last July.